What type of fishing do we do? 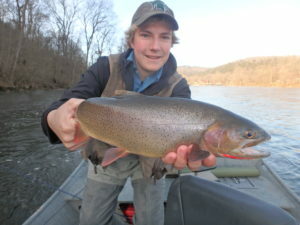 We specialize in flyfishing but can accommodate other anglers as well. What techniques are most frequently used? We throw a lot of big streamers. We also use nymphs under indicators. Can I arrange a custom vacation with you? We provide standard 3 day / 4 night packages and custom packages. Just let us know what you are looking for and we can set it up. 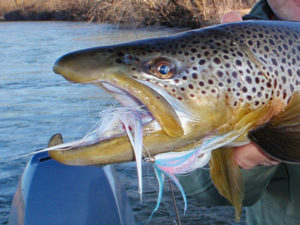 We mainly target trophy brown trout but also catch rainbows and cutthroats. What kind of rods do you use? 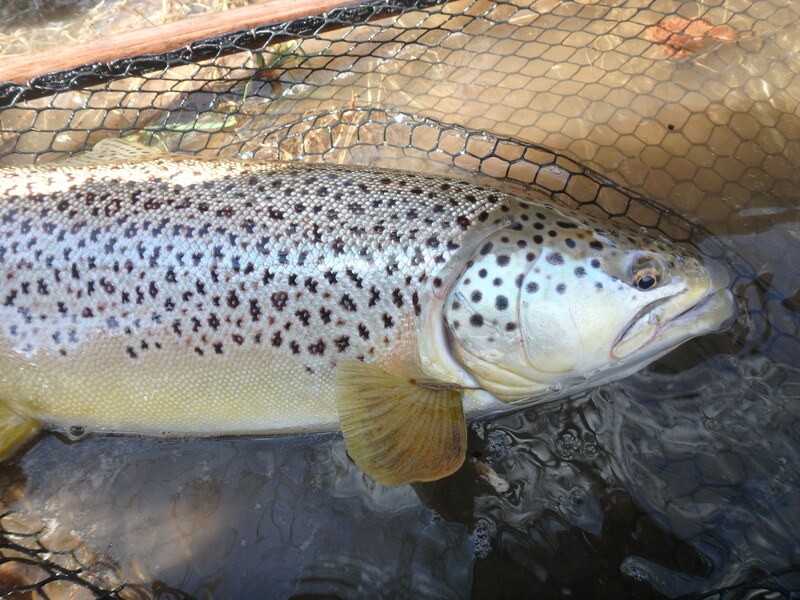 For the big browns on streamers, we use 8 weight rods with sink-tip lines. 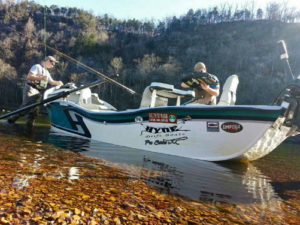 For nymphing we use more traditional trout setups. What are the best flies to use? Check out our Fly Patterns page for some ideas. Rainbow trout and brown trout colors work very well, as do sculpin patterns.